Today is Perfect Picture Book Friday – I review a picture book, provide a simple fun craft you can do with your kids and then I link up with dozens of other writers, moms, librarians and other lovers of picture books on Susanna Leonard Hill’s blog. I enjoy reading the classic picture books that I grew up with – but I also love finding brand-new ones that will be classics one day. So I was excited to receive a copy of today’s selection from the publisher…and I’m really thrilled to be presenting it to you – hot off the press! “Little girls can be strong and fierce and brave—and sometimes their ferocity is just the thing they need to save the day. 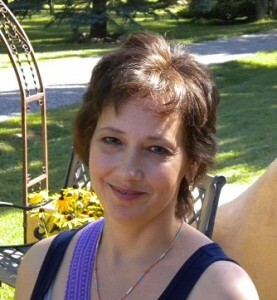 Bold vivid illustrations- congratulations to Jane Manning – job well-done! Wonderful message about learning to express our feelings, control our behavior, make our weakness into a strength and figuring out when it is okay to let go! Reminded me so much of Where the Wild Things Are – kudos again to Ms. Manning! 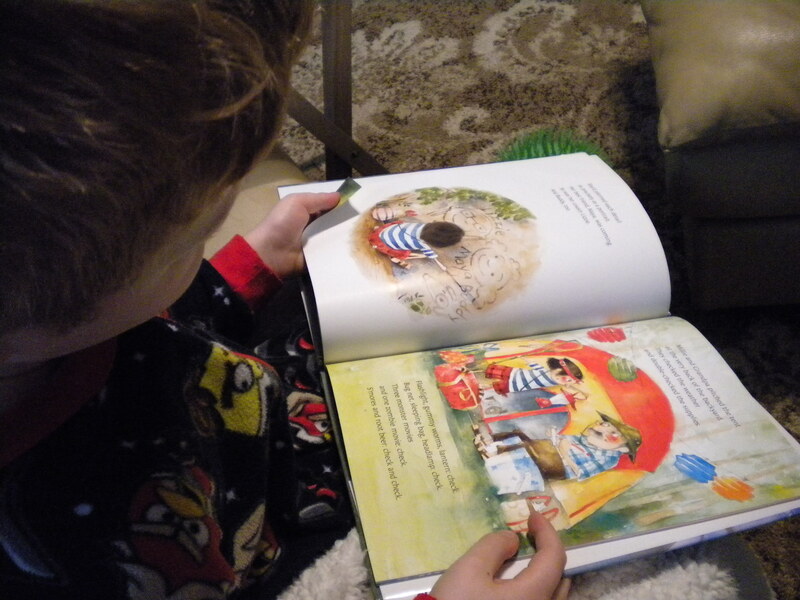 I read it to my grandson – he LOVED it – and then wanted to turn the pages and read it to himself by looking at the pictures – kids are extremely tough critics…they will honestly let you know when they like or don’t like something. I know this is a book he will want to hear again and again. Talk about feelings and behavior. Role play different scenarios when it would be appropriate to be fierce. Plan a camp-out – depending on your situation, it could take place outside in your backyard…or even in the living room. Do shadow play with your child – turn down the lights, get a flashlight and see what animals and shapes you can portray on the wall. All you need are two empty toilet paper rolls, construction paper, glue, scissors and markers. Cut construction paper so that you can lay an empty toilet paper roll on each end. Glue each tube and then roll towards each other. Glue in place, leaving a small space for the ‘nosepiece’. Look through your homemade binoculars…objects will seem closer and clearer. 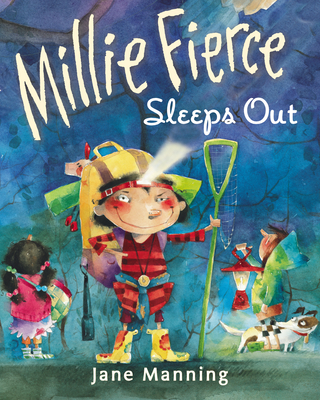 This entry was posted in Jane Manning, Millie Fierce Sleeps Out, Perfect Picture Book Friday, Picture Book Review, TLC Book Blog Tour and tagged Binocular craft, Camping, Expressing feelings, Jane Manning, Millie Fierce Sleeps Out, Philomel Books, Summer Activities, TLC Book Tours by viviankirkfield. Bookmark the permalink. I think I like that Millie Fierce! I need to find this book for my little Dogzilla who is having to learn self-control. It’s not an easy thing. Thanks for sharing this one! 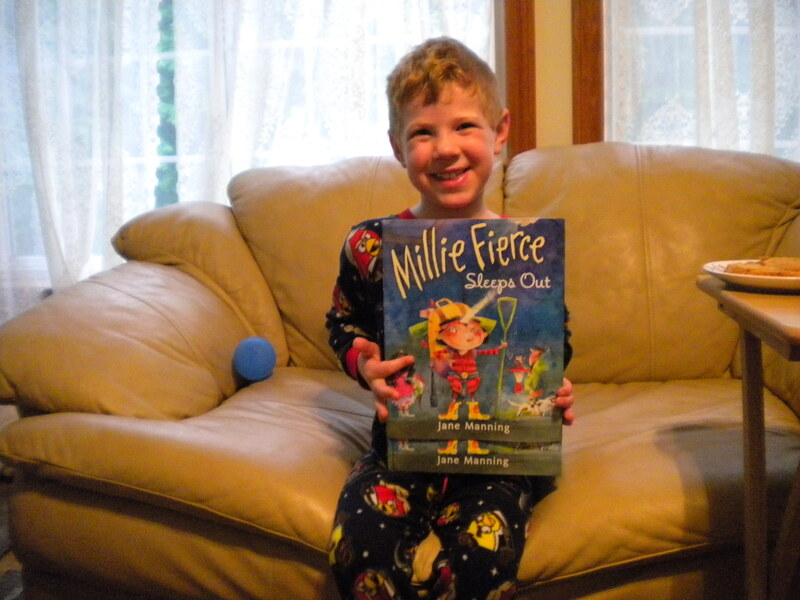 I reviewed the first Millie Fierce book and was just about to order this one. It sounds like Millie has come a long way and is learning to control her fierceness. Look forward to reading it. I like your suggestions in how a parent can use this book! Glad there is a sequel. And, this book has been nominated for the 2014 Kirkus Prize. My daughter is a little firecracker so I’d love to read this to her. Great find Vivian! What a great book. So often I have seen little kids just let rip when they are not happy about something. This is a great universal theme. Love the colourful illustrations. Thanks Vivian. Losing one’s temper IS a universal theme, Diane.,,and learning to control it is a life-long task,, I’m afraid. 🙂 🙂 The book would be good for both parent and child! Did a little someone request a night out in a tent after reading this? I would! I’m glad you and your grandson liked the book so much! I know my son has some fierceness in him, so I think he’ll relate to the main character. I also think he’ll love the camping theme! First of all, your grandson is adorable!!! This book sounds really good except that I really didn’t like Where the Wild Things Are and it terrified my kids. I still want to read this one but I better pre-read it before sharing! Thanks so much for sharing this at Booknificent Thursday! Hope to see you again soon!